Welcome to 2017: the year of edible nail art. Just when you thought you'd eaten the supermarkets out of their chocolate supplies, along comes nail-art genius Jessie Mills and her tasty talons. The New Zealand-based beautician has swanned into our lives like the Willy Wonka of the beauty industry to make every serial snacker's dreams come true. It may only be the first week of 2017 but we already have a strong contender for the year's hero. 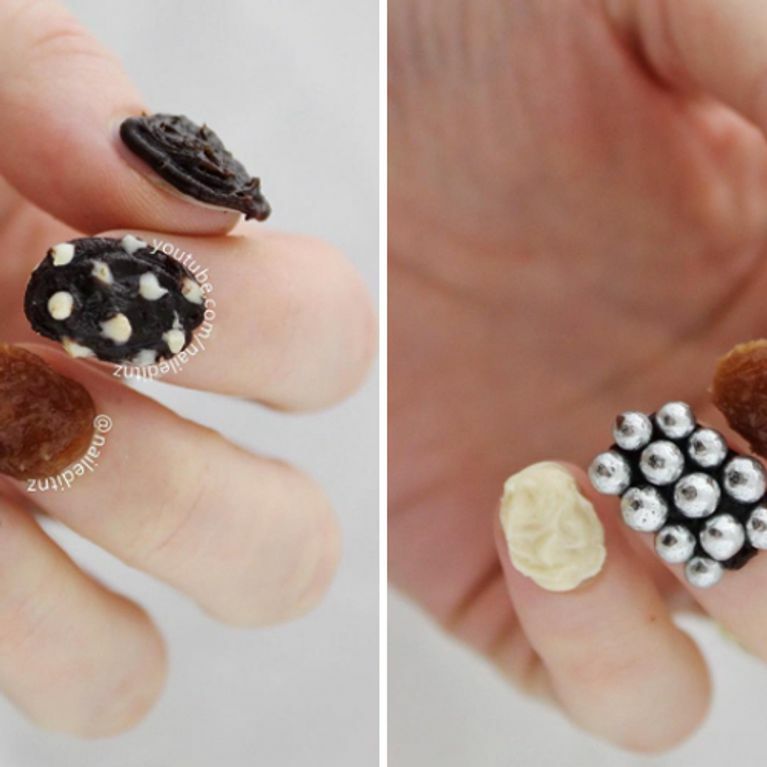 Enter: chocolate nail art courtesy of beauty vlogger Jessie Mills. The New Zealand-based nail technician has answered the prayers of serial snackers everywhere with her mouth-watering manicure tutorial that's totally worth sacrificing your January detox for. The YouTuber has brought a whole new meaning to the term 'finger food' with her manicuring magic which allows you to snack on your temporary talons - whether that's the best invention ever or so totally gross, you decide. Jessie of Nailed It NZ achieved the look with a supermarket-bought piping kit and it's simply a case of swirling different varieties of chocolate icing on each nail. She then embeds silver pearl balls on her ring finger and dots white chocolate on her index for decoration.